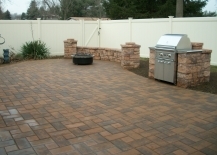 D’Imperio Brothers Landscaping, Inc. has been serving clients from South Jersey to Princeton and areas in Eastern Pennsylvania to the Jersey Shore since 1989. 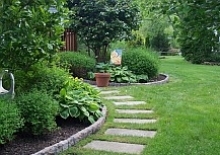 Our experienced landscape crews and knowledgeable support staff at D’Imperio Brothers Landscaping, Inc. is dedicated to provide quality landscaping that exceeds your expectations. D’Imperio Brothers Landscaping, Inc. uses the most advanced technology and highest quality products available with state of the art equipment to install your landscape project. Our company’s reputable designs, installation and service with years of experience have made us an innovator in the landscape industry. Now you can help a friend or family member maintain their property investment with a gift certificate. for more details on these exciting new gift certificates. Office Hours: Monday to Friday 9 a.m. to 3 p.m. Saturday by Appointment Only. Copyright © 2011 D'Imperio Brothers Landscaping, Inc. All Rights Reserved.